It’s time for a showdown between two of the largest states in the country. We’re talking about an insurance faceoff. Which state is cheaper for car insurance: Texas or California? Insurance is regulated at the state level, so things that affect your insurance price will be different from state to state. These are called rating factors. A rating factor is any detail about you (think: gender, age, driving record, job) that an insurance company uses to determine how much of a risk they think you are. The riskier they think you are based on the rating factors, typically, the more you will pay. In the right corner, we’ve got Texas and to the left, California. On the whole, in Texas, personal information will affect your price more than in California. Factors like you age, driving record, where you keep your car and the type of car you drive will affect your insurance price. Prior Insurance Status: Just like in interviews, where employers like you more when you’re currently employed elsewhere, insurance companies want people who are also already taken. You’re less of a risk if you’re currently insured, so if you have prior insurance, Texas rating on this factor will help you. Credit: Your credit score is an indicator of financial health. Insurance companies in California can’t legally take this into consideration when pricing insurance, so your high credit score won’t help you save money. However, credit is a factor that Texas cares about, and having a good credit score will come in handy in getting a deal on insurance. Mileage: How far you drive matters because when you’re in your car more, there’s more opportunities to get into an accident. So if you’re driving very little, the fact that California rates heavily on this will make your price cheaper. Mandated good driver discount: If you’re a good driver, then you’re in luck in California. They ask companies to give you a price break for a clean driving record. Texans, you might get a discount too, but it’s not a guarantee. Outside of these rating factors, there’s even more that insurance companies look at. Things like frequency of accidents in the state, population density and other environmental factors that they might need to cover with your premium. But let’s not get into the weeds. Let’s get back to the matchup and declare a winner. Which state has a lower average premium? Then again, if you currently have an awesome driving history and don’t drive very much, you might end up getting a better deal in California based on their rating factor priorities. Each insurance carrier will also rate you a bit differently depending on their portfolio, so there’s really only one way to know if you could be spending less on insurance: comparing prices. You can switch insurance companies any time you’d like, but comparing locked-in prices before you renew your insurance is the perfect time. 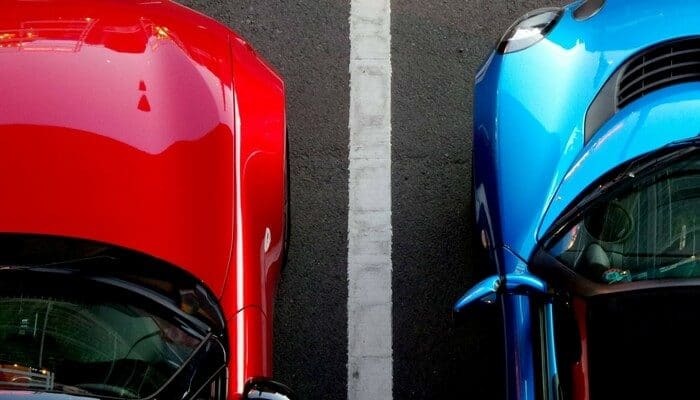 Take a few minutes on Compare.com to see if you can save even more on your car insurance. *Average state premiums are from a sample of auto insurance consumers in 2016 using Compare.com who are over twenty, have one car with at least one year of insurance.